Government funds awarded to Mylan, Inc. increased dramatically after the daughter of Sen. Joe Manchin (D., W.Va.) took over as its chief executive officer. The pharmaceutical company Mylan sparked controversy this week for hiking the price of its EpiPen, an autoinjector used to counter allergic reactions. The life-saving device was sold wholesale at $56.64 per unit in 2009. That price skyrocketed to $317.82 by 2015, an increase of 461 percent. Company executives increased their own salaries as the cost of the EpiPen rose. 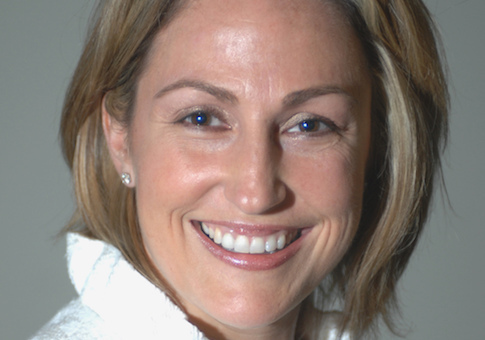 Heather Bresch, Manchin’s daughter, served as president of Mylan between 2009 and 2011. She took over as the company’s chief executive officer in 2012. Bresch was paid $2,453, 456 in salary in 2007. Her total compensation increased to $18,931,068 in 2015, NBC News reported. Rajiv Malik, the current president of Mylan, also saw his pay increase by 11.1 percent to $1 million in 2015. Anthony Mauro, the chief commercial officer of Mylan, saw his pay jump by 13.6 percent to $625,000. Bresch’s promotion to chief executive officer was announced in 2011. The company experienced a sudden spike of government funds going to its subsidiaries after she took over as CEO in 2012. Mylan Pharmaceuticals Inc., a subsidiary of Mylan, Inc., collected only $13,815 in funds from government contracts between 2008 and 2010, according to data on USASpending. In 2011 and 2012, Mylan did not receive any money from the government. Just one year after Bresch took over as CEO, government funds began pouring into Mylan Pharmaceuticals. The subsidiary received $113,895 worth of contracts in 2013. Government funds then shot up to $1.5 million in 2014. The subsidiary pulled in over $2 million from the government in the next year and a half. Mylan Pharmaceuticals was not the only subsidiary that received a surge of government cash after Bresch became CEO. Mylan Speciality L.P., a subsidiary located in Basking Ridge, N.J., also benefitted. Between 2008 and 2012, Mylan Specialty L.P. received only $6,516 in government contracts and funds. Funds going to this subsidiary shot up to $1.3 million in 2013. Another $1.3 million poured into the company in 2014. The flow of government funds dipped to $103,261 in 2015 and 2016. Lara Ramsburg was listed as the main point of contact on Mylan’s lobbyist disclosure forms throughout 2012, just before the spike in government funds to Mylan’s subsidiaries. Ramsburg served as policy director in the Office of the Governor of West Virginia in 2009. Manchin, Bresch’s father, was governor of the state during that period. Ramsburg was the campaign spokeswoman for Manchin’s senate campaign in 2010. Mylan did not return a request for comment. This entry was posted in Issues and tagged Joe Manchin. Bookmark the permalink.